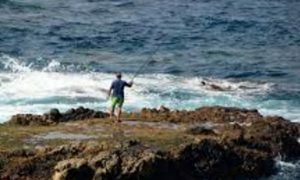 Every offshore angler would love to have at least one rod with a dominating reel. Daiwa provides that reel in its Saltiga series, but they come at a price. Much like the difference between Penn’s Torque and Fathom reels, Daiwa offers the Saltist as a cheaper option. Immerse yourself in the details of Daiwa Saltist Black Gold Star Drag, Hyper Speed Lever Drag, and 2 Speed Lever Drag Reels. Understand the sacrifices you make by going away from Saltiga reels. Daiwa Saltist reels show that value doesn’t always mean top of the line. 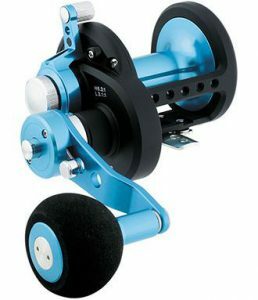 Saltist 2 Speed Lever Drag Reel. Daiwa Saltist Hyper Speed Lever Drag Reel. 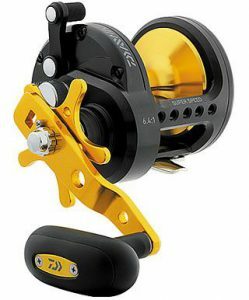 Daiwa Saltist Black Gold Star Drag Reel. Product: Daiwa Saltist Black Gold Star Drag, 2 Speed Lever Drag, & Hyper Speed Lever Drag Conventional Reels. Akin to Daiwa’s own Saltiga line of conventional reels, Saltist reels mirror their design by offering 3 different models. As far as models go, you have the same choices. Star drag, 2 speed lever drag, and the hyper speed lever drag models. 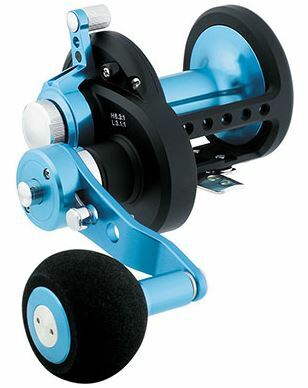 Saltist reels keep the aluminum frame, though it’s black anodized instead of the shiny machine cut look of the Saltiga. Saltist reels lose a bit in cranking power when you compare them to the Saltiga series. This is due to the massive gears Daiwa designs into Saltiga reels. Saltist reels do keep the helical cut, which helps make the gears stronger. So how much of difference is there between the two series? Let’s dive further in and find out. Each of the three models in the Saltist series come with 5 size choices from 20 – 50. Check them out below. 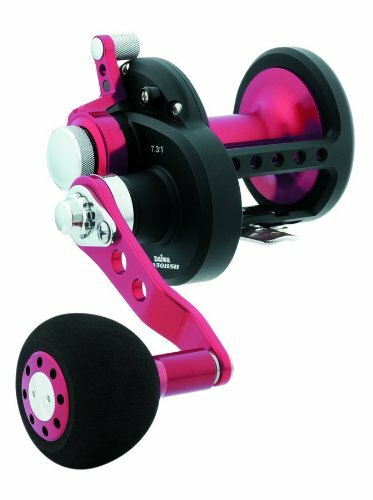 Daiwa constructs Saltist Star Drag reels with 5 bearings. 4 bearings are corrosive resistant and the 5th is the anti reverse roller bearing. The two smallest 20 & 30 models share a gear ratio of 6.1:1 while the larger models increase to 6.4:1. Star drag models rate for use with either mono or braided line. Size 20 spools wrap 420 yards of 12 pound monofilament or 260 yards of 40 pound braid. That’s the light end. Move up to the larger 50 model and wrap 220 yards of 50 pound mono or 630 yards of 50 pound braid. Saltist reels don’t rate heavier than 50 pound braid, but the yardage increases with spool size as each model steps up. Maximum drag ratings on Saltist star drags do the same thing. The size 20 model brings a max of 15.4 pounds drag resistance while the 50 moves up to 19.8 pounds. Compare that to Saltiga star drag reels which have a max drag range of 17.6 – 25 pounds. You do lose some with the Saltist. Daiwa Saltist reels weigh between 16.5 and 22.7 ounces, depending on the model size. You get a smooth retrieve with the 6 bearings Daiwa designs into Saltist 2 Speed Lever Drag models. The anti reverse feature uses a precision ratchet system instead of a stopper bearing. In high gear, Saltist 2 speed reels offer a fast 6.3:1 gear ratio. Drop into low gear and power down to 3.1:1. These specs are model wide no matter which 2 Speed size reel you choose. To make it easy for you when you go to check line ratings for Daiwa Saltist reels, know that all three designs use the same size spool. Once you’re familiar with the star drag line ratings, you know the ratings for Hyper Speed and 2 Speed models as well. Drag is a completely different story. Like most lever drag systems, Saltist reels rate for both strike and full settings. Their max strike drag is 13.2 pounds in the smaller 2 models and 17.6 pounds in the larger 35, 40, and 50 models. Full drag changes as well between small and large size 2 speed reels. Full down drag gives a max of 22 pounds in the 20 and 30 size 2 speed Saltist reels. The larger three models offer a substantial full drag of 26.4 pounds. Saltist 2 Speed Lever Drag reels don’t weigh much either. Depending on the size, they start at 14.8 ounces and go up to 23 ounces. The ultra fast Saltist Hyper Speed Lever Drag reels spin with 8 bearings. They have a dual anti reverse system. This means there’s a 9th stopper bearing in addition to a ratchet anti reverse. The highlight and feature spec of the hyper speed design is the gear ratio. Smaller 20 and 30 hyper speed Saltists have higher gear ratios of 7.3:1. The larger size models don’t lose much though, at 7.1:1. No repeat is necessary because all line ratings are the same between models but the drag does vary. However, the lever drag of the Saltist Hyper Speed Reel matches the ratings of the 2 Speed models. Refer to those and their description just above. Saltist Hyper Speed reels do weigh a bit less than 2 Speed models without the extra gearing. In each of the 3 different Saltist reels designs you’ll find a strong aluminum frame and side plate. Frames and side plates are 1 piece units that protect the inner gears, bearings, and drag system. They also prevent any twist that occurs in graphite material frames. The black anodized finish of the aluminum frame protects the metal from rust and corrosive wear. Daiwa uses what they call their CRBB, which stands for Corrosive Resistant Ball Bearing. These are stainless steel bearings and have shields covering the bearing housing. This adds an extra layer of protection against salt or other harmful particles. 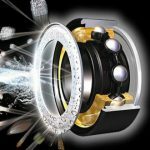 Daiwa claims their bearings last up to 12 times longer than standard ball bearings. 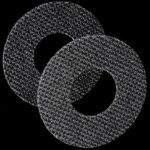 Carbon fiber discs are the name of the game in drag material. A little oil impregnation keeps them from drying out and sticking or shuddering upon application. The UTD is a great system, but it tells nothing about max drag. Drags on Saltist reels are smooth but the Star Drag is light on max drag. I tend to use Daiwa’s Sealine as a reference point. It has 18 pounds of max drag which can still be a little light on more powerful fish. It would be nice to see the Saltist Star Drag offer at least that much in the size 30 and 40 models. Another feature that all Saltist reels share is the machined aluminum spool. Once again there is a sacrifice here. Machined spools are effective and they are durable but not as tough as cold forged spools. This isn’t a major point of concern. It’s a little surprising Daiwa doesn’t offer a narrow spool version or deeper spools on the 2 Speed to carry more line. 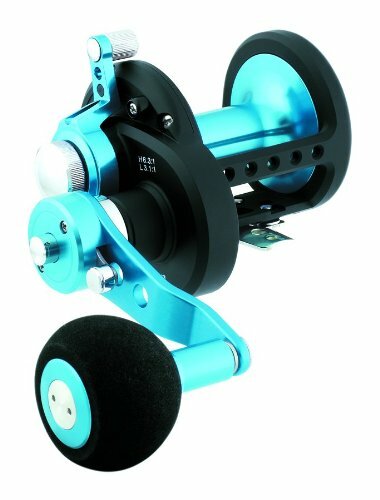 Beginners can benefit from cast control systems though expert casters come to despise them. Centrifugal systems use small tabs that activate from the force of the spool spinning. These tabs rub against the spool wall which creates friction and slows the cast. It’s a form of backlash prevention. The tabs engage only when the spool spins at faster speeds. These are the times during a cast when the spool can spin faster than the release of line, which causes backlash. This slowing of the spool isn’t desirable to anglers that have the thumb to spool touch. The slowing limits their casting range. Reels like the Daiwa Sealine may be tougher to cast at first but pay off once you master the baitcasting technique. Daiwa’s Infinite Anti Reverse uses a one way roller bearing, or stopper bearing as some fishermen call it. It allows the spool to retrieve line but keeps it from spinning the other direction. The anti reverse bearing only engages when the reel is in gear. Pressure against the bearing is what causes the drag to engage. Anti reverse bearings have the benefit of instant engagement vs a slight spool back play in ratchet type systems. Companies hail this as instant hook stetting ability but ratchet systems are much stronger. Consider your drag useless if your anti reverse fails. Take your hand off the handle for a split second and smack the gear shift button with your palm. It’ s right there at the base of the handle and now you’re in low gear. Repeat in an instant and switch back to high gear. Timing is of the essence when battling large tuna or other powerful species. A second of hesitation allows the beast to turn its head back down and grind out hard earned yards of line. The easy reach position of the gear switch is more valuable than it may appear. Saltist 2 Speed Lever Drag reels get away from the stopper bearing and use a ratchet anti reverse. 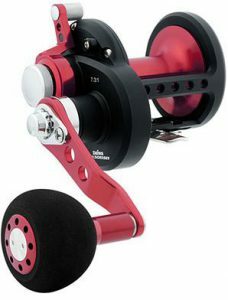 A much stronger dog anti reverse system is a better choice for a two speed reel that will have to do some heavy lifting. However, it’s surprising Daiwa didn’t just add the stopper bearing as well. As you’ll see. the Hyper Speed Lever Drag Saltist uses both systems. Why not the 2 Speed? Saltist lever drags are just in front of the handle as you’re holding the reel. The lever goes up and has a knob that sits over the reel frame. There are stop tabs for full and open drag positions. At the base of the lever is a precision tuning dial. This allows you to raise or lower the amount of strike resistance to right where you want it. A small change in gear size makes a big difference to the gear ratio of a reel. Hyper Speed Saltist models offer that faster 7.1:1 or 7.3:1 retrieve. For those anglers chasing fish like yellowtail that will often only bite a fast moving target, the faster gear ratio really helps. Saltist Hyper Speed reels might be better with the addition of a free spool feature. Longer casts definitely go well with faster gear ratio reels. Daiwa uses a dual anti reverse system in Saltist Hyper Speed reels. Think of the one way roller bearing as a means to instant hook set. Because fish hit and stop lures at a faster rate of travel, the ratchet anti reverse works as a backup and provides extra strength. The lever drag on Hyper Speed Saltist reels is exactly the same as the 2 Speed models. Refer to the section above for details. The most obvious benefit Saltist reels bring to the table is the price. Compare them to Saltiga reels and you save quite a bit. Other benefits of Saltist reels are apparent in their features. They don’t offer anything better than Saltiga reels, in fact they sacrifice quite a bit. Saltist reels still have a strong frame and decent gears. They’ll handle medium grade tuna, dorado, or yellowtail effectively. The choice of three different designs is an obvious pro as it provides anglers with options for different fishing situations. The Star Drag Saltist needs more max drag. Might as well begin the roast there. It’s unfortunate that the 2 Speed Lever Drag Saltist doesn’t have dual anti reverse, like the Hyper Speed does. Reading over the Saltist reels on Alan Tani, a couple of mechanical issues come out. First is the fact that the drag system lacks the typical cover inside the reel which helps against corrosion and grit getting in. Second is the ratchet anti reverse. It’s a weak design that is prone to slipping. The anti reverse bearings are also prone to corrosion which will lead to failure. In fact, corrosion seems to be the biggest worry with Saltist reels. As the disassembly on Alan Tani shows, the reels come dry on the inside and work best after a thorough greasing. Which Anglers Benefit Most Using Daiwa Saltist Reels? The Saltist Star Drag makes an effective beginners or all around purpose reel for mid to lower grade pelagic species. The better drag and lever system on the 2 Speed Saltiga makes it capable of fighting heavier fish, moving out of that low grade range. It’s still doesn’t classify for anything much over 100 pounds. Take a look at Shimano Talica reels for that. For true ocean beasts like Marlin or Sailfish, the Shimano Tiagra or Okuma Makaira have the goods. All Daiwa reels come with a 1 year manufacturer’s warranty. Service centers exist all across the United States with a full list on the Daiwa website. You can also check out their FAQ section or grab the number for customer service. Warranty claim forms are also available along with parts diagrams and owner’s manuals. Daiwa Saltist reels provide a viable option to anglers without having to pay the sales price of Saltiga reels. Sacrifices stick out for sure, but overall the Saltist isn’t a terrible reel. It gets a ranking of 84 out of 100. This keeps it out of the FishtFight recommendation range of 90 or higher. Budgeting may make the Saltist reel worth the purchase, especially if you give it some loving grease before the first use. Don’t get all tight lip about Saltist reels if you have an opinion. Let me know by leaving a comment. Any questions you have or missing info will get me going again deeper into the reel, so don’t be shy. Geoff@FishtFight.com. The infinite anti reverse seems like a good feature and I like the blue color. Thanks for the great saltist review. Hey Ronny no problem. Thanks for chiming in. Geoff. I have the size 30 two speed lever drag and the anti reverse dogs slips when pressure is released. Any fix? Hey Danny. The build of the Daiwa Saltist drag system is known for having issues. Anglers don’t care for the Ambassaduer style dog ratchet anti reverse. There’s a very good write up about the problem and a fix on thehulltruth.com. Best of wishes. It sounds like a good fix using Shimano Trinidad parts. 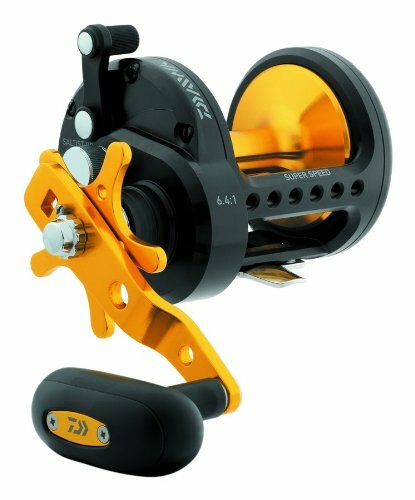 I just bought a gently used Saltist Lever Drag 2-Speed (STTLD40-2SPD) reel gently used, and I’m looking for an owners manual.. Does anyone have a link to it? Hey Robert. A nice almost new addition to the family there. 🙂 Daiwa provides the Owner’s Manuals for all Saltiga and Saltist Reels. Just follow that link, click on STU for the reels that begin with those letters, and you’ll find the STTLD models at the bottom of the list. Tight lines! Geoff.